Local people lost their patience when a leopard killed a four-year-old girl in Nadi Gaon area of Bageshwar on 19 September. 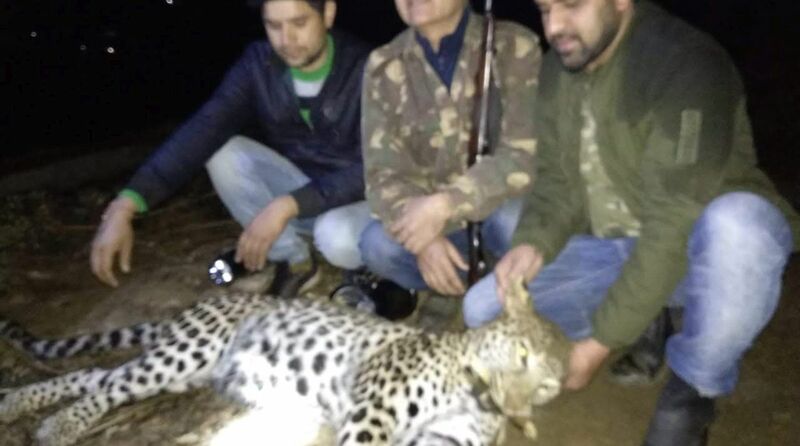 A team of specialized shooters gunned down a man-eater leopard in Bageshwar on Wednesday evening. Providing much relief to local residents, the forest department conducted a successful operation to eliminate the 13-year-old female leopard in the affected area. The feline had turned man-eater due to old age and after getting her teeth/nails damaged. The leopard used to take an isolated bridge on Sarayu river to enter the human habitat. The bridge on the Someshwar-Guard road remains underutilised and it provided a safe passage to the feline to enter the town. So far, two leopards have been killed and one caged from Bageshwar. The operation began in September this year and continues as regular sighting is still reported from different parts of the city. Local people lost their patience when a leopard killed a four-year-old girl in Nadi Gaon area of Bageshwar on 19 September. The incident forced the forest department to fix cages and one leopard got caged. This failed to end terror as new leopards became active by causing harm to villagers. Specialized shooter Lakhapat Rawat was deployed and he gunned down a man-eater on 13 October. This time, shooter Joy Vikal shot down the man-eater to bring some relief to the affected people.